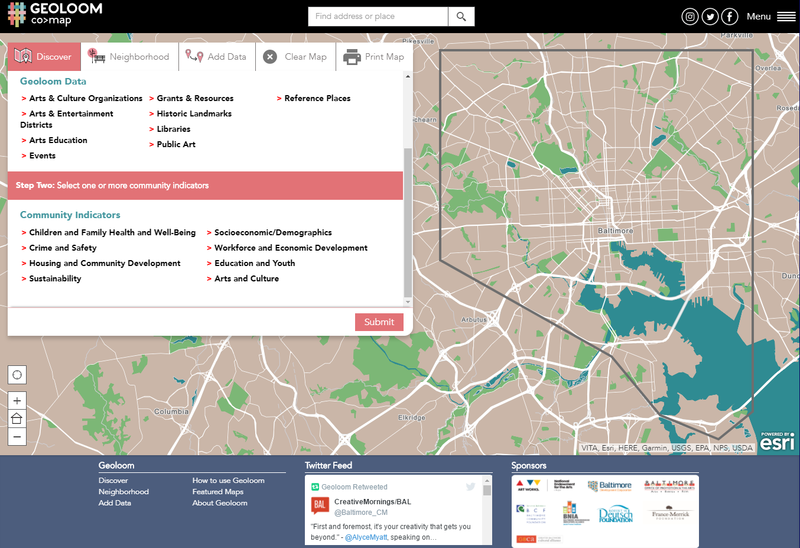 Blue Raster and the Baltimore Neighborhood Indicators Alliance (BNIA) are proud to continue their working partnership with the launch of GEOLOOM co>map, an intricately designed application tasked with weaving together the cultural fabric of Baltimore. 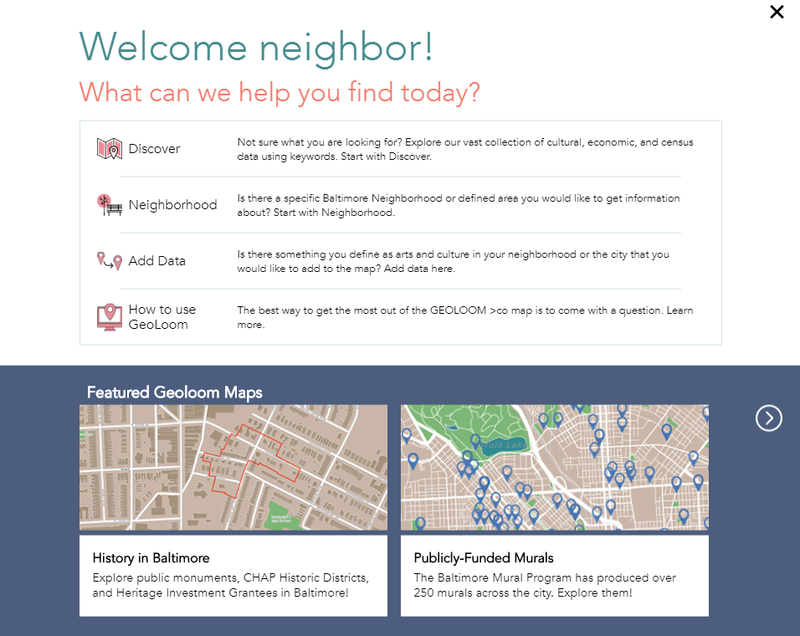 The co in GEOLOOM co>map stands for community, collaboration, and cohesion in Baltimore. 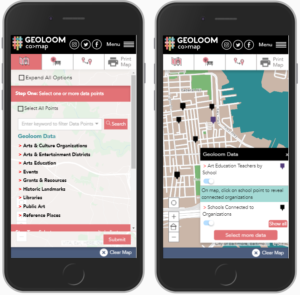 GEOLOOM provides targeted search ability across multiple sectors by geography and/or keyword and is powered by hundreds of data sets that are aggregated and maintained by BNIA-JFI. The application maintains dynamic links to the data in ArcGIS Online, and updates based on new data sets or data categories. This flexibility will reduce versioning issues, and decrease application maintenance costs during the planned quarterly data updates. 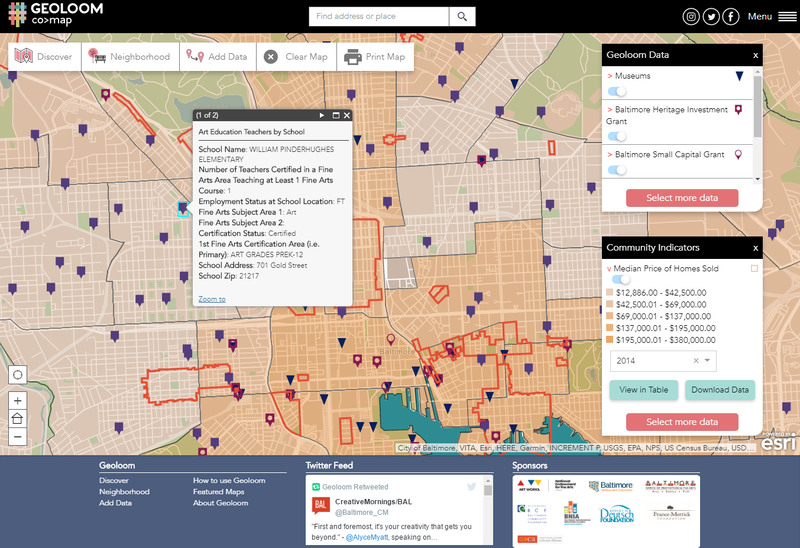 Each data point or community indicator provides valuable insight into where the artistic cultural of Baltimore is already shining through, and where encouragement is needed. Partnerships between BNIA and multiple foundations and organizations has ensured that the best, most relevant data is being provided, and a smooth mobile experience keeps the information accessible to all. Experience GEOLOOM for yourself, and see all the cultural richness Baltimore has to offer!